First African American recipient of the Newbery Medal for children's literature, he is best known for works such as Bud, Not Buddy and The Watsons Go to Birmingham - 1963. His other award-winning books include Elijah of Buxton and The Mighty Miss Malone. 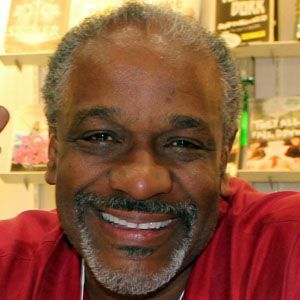 He published his first book the same year he graduated from the University of Michigan-Flint in 1999. Prior to that he worked on a factory assembly line for over a decade in his native Michigan. His work, The Watsons Go to Birmingham--1963, won the Coretta Scott King Award. He grew up in Flint, Michigan. He and his wife, Habon Curtis, had children named Steven, Cydney, Ayaan and Ebyaan. His book, Elijah of Buxton, also won the Coretta Scott King Award.